Stormland becomes Seeds of Resilience! A week ago, Oculus & Insomniac have released a new game with the same name as ours… We had to change the name and decided to do it as soon as possible. 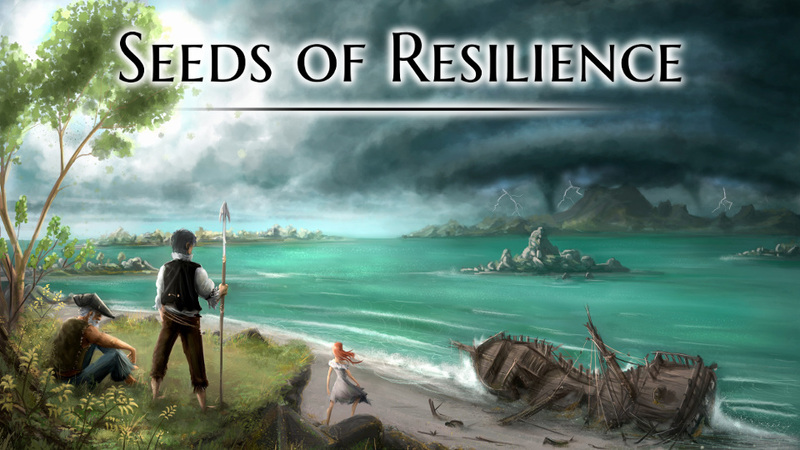 We came up with “Seeds of Resilience”, a name that reflects the purpose of our game. A definition of resilience is “the ability of a system to withstand changes in its environment and still function”. This applies to the group of survivors who rebuild a village after the sinking, the island ecosystem which has to adapt to human presence, and the village itself that must regularly recover from natural disasters. We hope you like this new name!